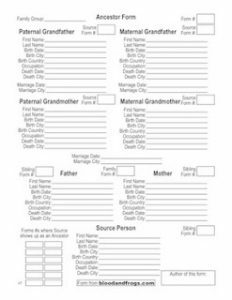 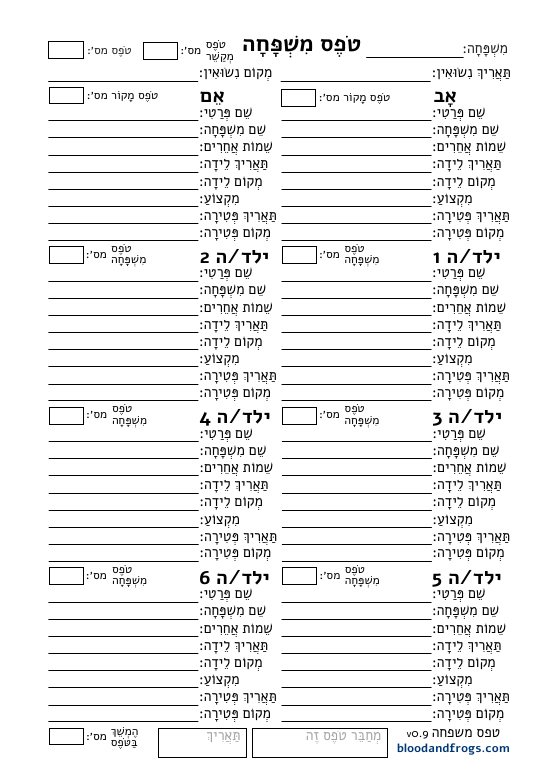 For forms in English, and for a detailed explanation of how the form work together, go to the English Forms page. 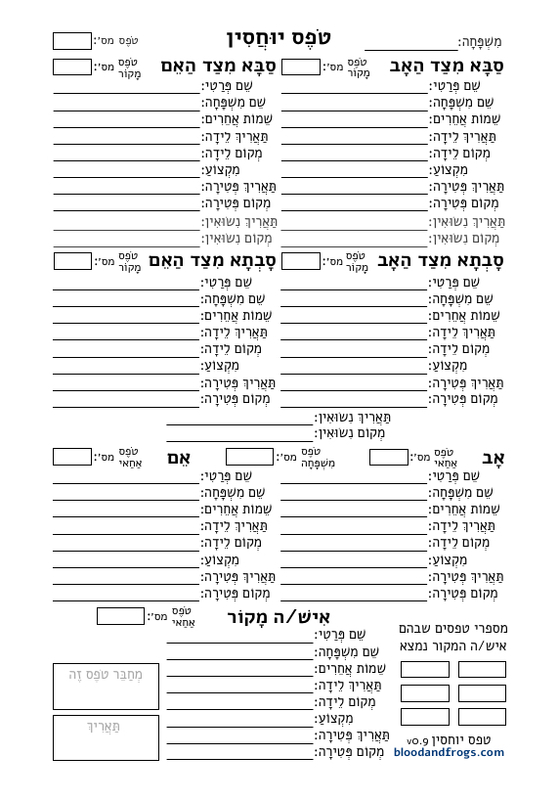 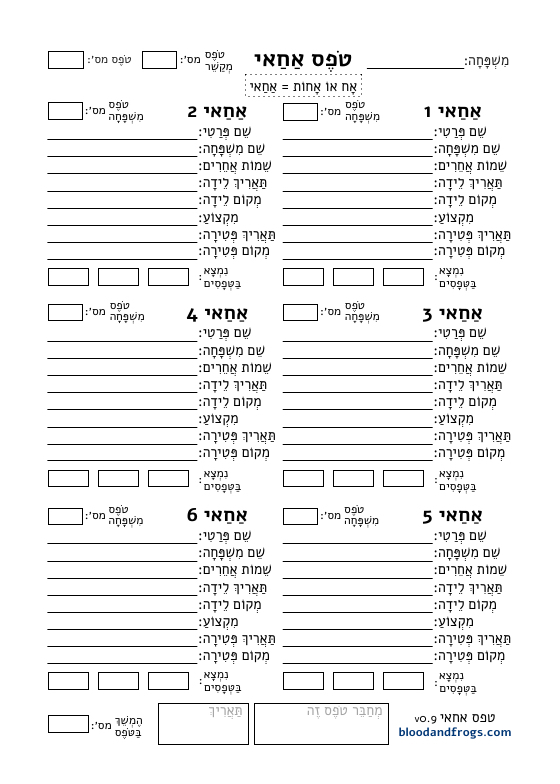 The current Hebrew forms are not yet editable on the computer (like the English forms), but they will be updated to allow editing soon (how soon depends on a bug being fixed in the software I use). 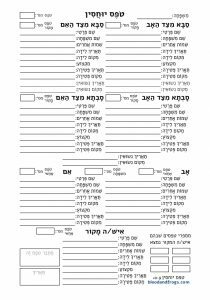 Alt-click (or right-click and Save As…) to download the PDF files directly instead of displaying it in the browser window.